Join us on Saturday, September 15 for our Day of Action! That’s when the 15-week countdown to a $15 minimum wage in Ontario begins. We are marking the day with creative actions at MPP offices in over 15 communities. 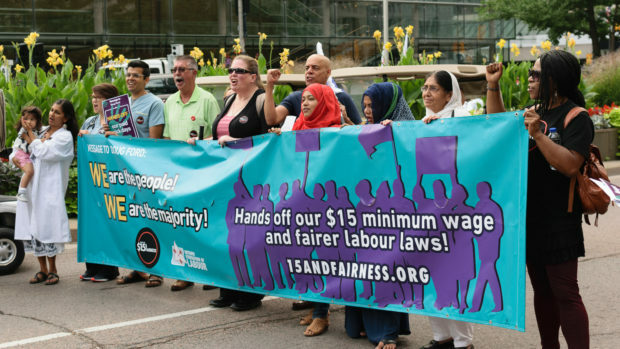 Visit the Fight for $15 & Fairness website or Facebook page to see where the action is happening near you! Now is the time to tell Premier Doug Ford that we are standing up for workers in our communities. So before the big day, please send an email to the Premier and your MPP asking them to stand against the big business lobby and stand up for the people. Click here to sign up for the September 15 – Day of Action in a riding near you! Click here to send an email to the Premier and your MPP. It’s crucial that we get loud and visible as we tell our government that Ontario being “open for business” should not mean that protections and decent wages are closed to the most vulnerable workers in the province. The big business lobby has become bolder in their stance against fairer laws for their workers. 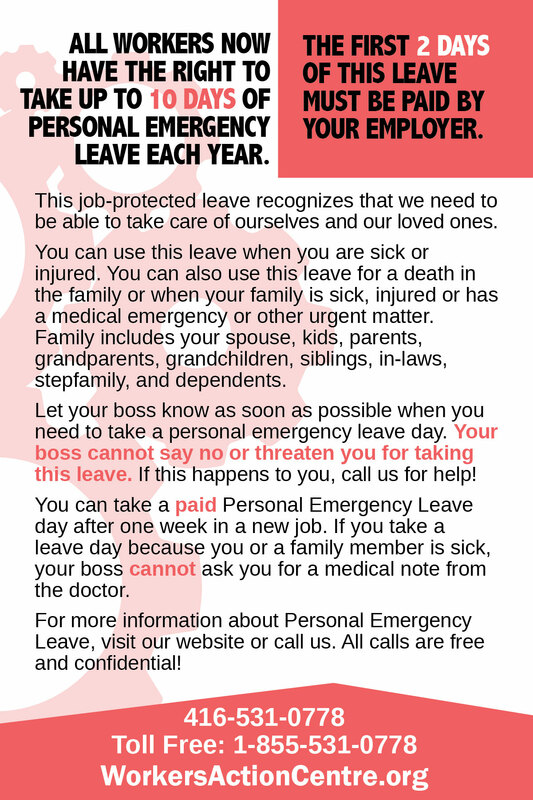 The Ontario Chamber of Commerce is openly calling on the government to cancel all of Bill 148–including personal emergency leave, new scheduling rights for workers juggling part-time work as well as equal pay for equal work for contract and temporary workers. Join us in telling Premier Ford that there are more people who gain from Bill 148 than there are employers and CEOs who are reluctant to share a little bit more of their profit. Please send this letter to Ford and share it with your networks. Millions of workers are benefiting from these long overdue changes, and even more will benefit when we finally get $15 and fairer scheduling rules on January 1, 2019. Workers are counting on your support in defending our new rights at work. If you want to gain more support in your area, download and print this petition and gather signatures to show your MPP how much we need fairness at work. See you this Saturday as we show our government that democracy is alive and well in the decent work movement. Together we can win!